This is why I generally avoid talking to strangers on the airplane. There’s no question, however, that young adult fantasy is one of the largest, most lucrative categories in fiction publishing, exploding since J.K. Rowling changed the game in 1997. Some of the biggest names in speculative fiction work almost exclusively in the field—authors like Holly Black, Cassandra Clare, Laini Taylor, Leigh Bardugo, Sarah Maas, and Maggie Stiefvater to name just a few. They top bestseller charts, win awards, and headline festivals. The biggest recent YA novel to hit the shelves, Tomi Adeyemi’s debut fantasy Children of Blood and Bone, was a whopping seven-figure deal optioned by Hollywood before it was even published. As for YA science fiction? Three years ago, when my second novel was on submission, nearly every rejection I received boiled down to, “We’re not looking for science fiction.” Naturally, being an insecure early career author, I was tempted to think this was code for, “We think your writing is garbage,” but by then, my first novel had been published to some acclaim and won awards, so I had more reason to believe my agent when he did his best to reassure me. Why, at a time when we have a new Star Wars movie seemingly every six months, and teen-centered films A Wrinkle in Time and Ready Player One are box office successes, do we not have more breakout YA sci-fi books? I refuse to believe that the core ideas of science fiction—technology, society, change, and exploration—do not resonate with an activist generation that is growing up with smartphones in hand. That bleak cousin of science fiction, dystopia, hit its peak in YA with The Hunger Games and Divergent, but remains robust and in no danger of going out of style anytime soon. Yet as a whole, YA sci-fi lags well behind YA fantasy when it comes to publishing industry love and mainstream market success. How does the spaceship work? Adult fiction: With a matter-antimatter rocket providing constant acceleration at 9.8 m/s² the Tsiolkovsky rocket equation can be employed to describe the final/initial mass expressed in terms of effective exhaust velocity V, acceleration A, and distance traveled D between the beginning and end of the rocket burn . . .
As someone who reads both adult and YA science fiction, I’ve found myself frustrated on both sides of the aisle. I’ve come across quite a lot of young adult science fiction wrapped in the trappings of the genre—spaceships, planets, etc.—but lacking positive inclusion of actual science or technology, the sense of questioning and extrapolation of the future, the pointed observations of society that great science fiction has always given us. I’ve come to the inescapable conclusion that many YA sci-fi writers don’t read adult science fiction, and many adult science fiction writers rarely go into the YA section of the bookstore. “It’s a gender issue,” a fellow author postulated when I brought this idea up to him. I think he has a point. YA is viewed as a “female” category, one of the few areas of publishing dominated by female authors, constantly derided as full of books about teen girls caught in love triangles. There’s an incorrect perception, certainly among many casual adult readers, that all YA novels require a romance-heavy plot centering on a teenage girl, narrated in first person present POV. Meanwhile, even with all the women who’ve worked and are working in the field, science fiction, especially “hard” science fiction, is still pervasively viewed as a bastion of geeky masculinity. There remains a wall of misunderstanding and stereotype that often sadly puts YA fantasy and adult sci-fi as far away from each other in readership as picture books and true crime. Part of what exacerbates the situation is the fact that the speculative fiction community often doesn’t recognize, discuss, and celebrate the full range of excellent YA sci-fi that does exist, often because it is written by authors who do not populate the usual convention panels. Feed by M. T. Anderson is a smart, savage cyberpunk satire with a pitch perfect teen voice; Nancy Farmer’s House of the Scorpion is one of the best books out there about cloning; the acclaimed Leviathan series by Scott Westerfeld is a fabulous blend of steampunk, biopunk, and alternate history—yet I rarely hear such titles mentioned on SF websites or conventions. 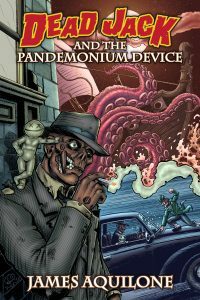 While our industry recognizes excellence in the field with the Andre Norton Award, the Locus Award, or this year for the first time, the not-a-Hugo YA Award, we have not yet made those awards widely known and relevant to stakeholders outside of the SFF community—teachers, librarians, and most of all, teen readers. I’m still optimistic about YA science fiction. 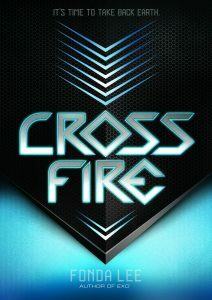 I have to be; I’m launching my next novel, Cross Fire, even as this post goes up. Also, I see the wealth of work that is out there (just look at BookRiot’s list of 100 Must Read YA Science Fiction Books or the 2017 Locus Recommended Reading List), I take heart in the enthusiastic fan mail I receive from teen readers, and I think about the fact that science fiction, like fantasy, is broadening and evolving in its inclusion of voices. Good work is being done by programs such as the Launchpad Astronomy Workshop, that every year admits YA writers among its participants and gives them scientific knowledge they can use in their creative work. I’ve met many teachers and librarians who see the value of science fiction and champion it to their students. And I think there’s a lot more room in the YA category for science fiction to do something we’re already seeing in film: combine the fast-paced storytelling and youthful appeal of YA fiction with the sci-fi genre’s sense of sharp intelligence, social observation, and the gosh dang coolness of gadgets, spaceships, and the frontier of human invention to inspire the next generation with meaningful human stories. If you’re not already a fan of the category, I urge you to give it a chance—either as a reader, an educator, or a writer. I say this with complete selfishness, because I want more quality YA sci-fi in more glorious variants: YA technothrillers, YA space operas, YA cyberpunk noir, give me all of it—and I’d like the subgenre to get some of the love and clout that YA fantasy has found. In the meantime, I’m going to keep writing. 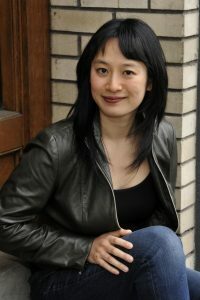 Fonda Lee is the award-winning author of science fiction novels Zeroboxer (Flux) and Exo (Scholastic), and the gangster fantasy Green Bone Saga, beginning with Jade City (Orbit). Fonda is a martial artist, foodie, and action movie aficionado who lives in Portland, Oregon. Learn more online at www.fondalee.com and on Twitter @fondajlee. Ms. Lee, I will begin this by saying I greatly enjoyed your Jade City novel. My second point is I am an aspiring novelist. I disagree vehemently about YA literature as a whole. I don’t read it. I refuse to touch it. Its utter drivel. Written by damn scribbling women with two names sometimes three. The stories are highly predictable and fail to get in-depth enough with heavier topics. Also they are marked to CHILDREN (newsflash: teenagers are CHILDREN), ergo they are not mentally mature enough. I began reading adult fiction in seventh grade, with some more age appropriate books here and there. Those YA novels I read? Utter drivel. They were quick reads and failed to stimulate my mind creatively or intellectually. Not like Anne McCaffrey’s Dragonriders of Pern did. Not how Michael A. Stackpole’s DragonCrown War Cycle did. If I had continued reading YA my writing would have been stunted. I was being shown how to truly master my craft at an early age. It saddens me thay grown adults are still reading drivel. By the way I’m a woman. Hi Fiona. Adult-aged man here (not that it’s relevant, and not that I necessarily believe you’re a woman) who doesn’t discriminate what he reads or writes but does actively read outside my “comfort zone” as often as possible. -How can an aspiring novelist be this close-minded to an entire demographic/category, especially one as successful as YA? -How unread does a literate human have to be to make those claims about YA as a whole? Scribbling women? That include James Dashner and Rick Riordan (just off the top of my head). Is it possible that being unable to find heavier topics might reflect your reading comprehension? -What crystal ball broke down for you that your “writing would have been stunted” if you’d read from a particular (not to mention successful af) category? Are you also claiming bad books do not exist outside YA? Exactly what YA books did you read to come to these conclusions? Also, can I ask that crystal ball some questions, too?? -Were you trying to say two or three PEN names? Like Samuel Langhorne Clemens, aka Mark Twain? Is the number of names or pen names even indirectly correlated to an author’s writing?? What does this say about John Ronald Reuel Tolkien or George Raymond Richard Martin? -If you truly mastered your craft at an early age, why are you still only aspiring!?! In fairness, the reading level of your comment answers this question so never mind. You use the term drivel three times, in ~180 words. Lemme just nudge ya closer to those aspirations – http://www.thesaurus.com. You’re welcome. Also did you really need six+ adverbs in there? Strengthen your verbs and nouns and you can sharpen your point / reduce wordiness by cutting adverbs. Another freebie. You’re freakin welcome. “It saddens me thay grown adults…”, “Its utter drivel”, “..marked to CHILDREN..” Did you even proofread this? Were you trolling this whole time? Dammit, I just got Punk’d. Come on out, Ashton Kutcher. On second thought, your comment does more to promote YA than detract from it. Carry on. It was a YA space opera that revived my hope in the genre! You should check out the Lunar Chronicles series by Marissa Meyer. I am one of the founders of the Golden Duck Awards, which have evolved into the American Library Association’s “Notable SF Books for younger readers.” Technology seems to be very rare in YA “mundane” fiction as well. When I was growing up, “Hot Rod Stories” were very common. In addition, Ham Radio, Aviation, Sea Stories, and other topics of contemporary technology were also present. Today, these topics are still viable in addition to Computers & Computer Gaming, and other developments of the 21st century. Ham Radio has spread to Low Earth Orbit: ham radio clubs do demonstrations at schools so that the pupils talk to astronauts in the International Space Station. Yes, I am a ham radio operator, and an aviator, and a retired electronics and computer engineer. I started electronics as a hobby in middle school, and I now teach it at a community college. I would like to add that one of the challenges YA SF faces is that there isn’t a lot of middle grade SF, and what there is has the same problem you mention YA having. And while adults tend to think downwards in terms of literature “adult then ya then middle grade then picture book” kids, of course, read in the opposite direction.